How to boost your score and collect more Grammy Awards in this Flappy Bird inspired game. Flappy Bird clones continue to flood both the App Store and Google Play. 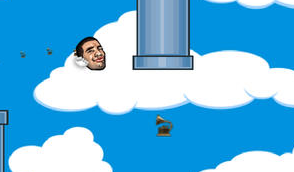 Next on the list is Tiny Flying Drizzy, a game that plays almost exactly the same as Flappy Bird but stars rapper Drake, with the goal to clear pipes and collect Grammy Awards. That said, the basic strategies for achieving a high score are more or less the same, with one notable exception. On that note, here are the best ways to improve your Tiny Flying Drizzy high score. 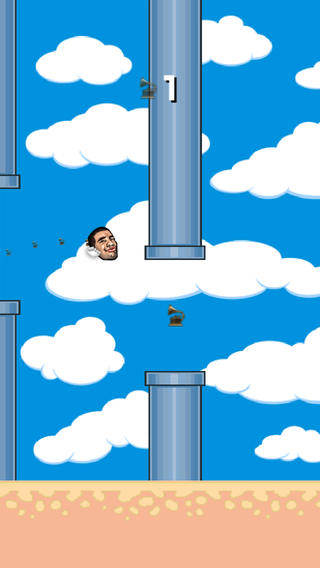 Tapping the screen makes Drake (AKA Drizzy) ascend, except unlike in Flappy Bird, the character has a tendency to float. You must keep this in mind while playing, because pressing the screen for too long will likely result in failure. Think of Drake as a bubble and you'll travel much further. Although it's possible to achieve an impressive score on a smartphone, your thumb is bound to get in the way. Switch to the iPad or an Android tablet and benefit from a much larger screen that gives you a chance to tap wherever you want while getting a better view of the action. Tapping too soon will definitely result in Drizzy hitting the corner of a pipe, spelling his doom. Make sure your taps give you enough space to clear a pipe completely. The less you blink in Drizzy, the better off you'll be. Make sure you blink plenty of times before starting a round, and go with quick blinks between pipes to keep your eyes moistened yet firmly positioned on the screen. Multi-tasking is almost impossible while playing Drizzy. Even talking to someone may result in failure. Drown out the family pet, your significant other and the TV, then enter the Tiny Flying Drizzy zone; playing on an airplane or bus is not a great idea. Tiny Flying Drizzy will wreck havoc on your nerves and patience. People don't rage quit. They rage delete the game from their phones and tablets. That's why it's a great idea to put the game down and do something else. Go outside, get something to eat or meditate. It'll be there when you get back. Easier said than done, right? Let's say you have a high score of 95 and the next try you die at 94. That's a huge downer, but you have to shrug it off and restart. Accept that you'll fail playing Tiny Flying Drizzy more than you'll succeed, but relish the occasional victory. The higher your score, the more impressed and bewildered other players will be.